Doctors are human, and unfortunately all humans make mistakes. However, mistakes in surgery usually cause severe physical harm or even death to a patient. Some Researchers believe that as many as 50% or more of surgical errors could be avoided. There are plenty of excellent surgeons practicing medicine and at the same time, there are quite a few of incompetent surgeons. Most people trust physicians and surgeons inherently, and never question how surgical mistakes happen. The reality is that medical mistakes happen because surgeons are human and have weaknesses, and make mistakes just the same as everybody else. Many surgeons make mistakes because of inexperience or improper training. May non-qualified surgeons are now attempting plastic surgery and/or cosmetic surgery with horrific results to patients. One of the problems is that a physician can try almost any surgery if the patient allows them. There are few restrictions on surgeons if they receive consent and want to try new procedures. An orthopedic surgeon can try brain surgery one day. A dermatologist can try plastic surgery. A bad outcome or a complication does not always indicate that there was a deviation from the acceptable standard of care or that a lawsuit exists. Only after having your case reviewed by competent malpractice attorneys and competent experts, will you know if the case warrants legal action. Our representation for surgical errors and mistakes is based on a contingent fee structure. 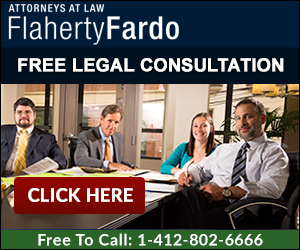 There is no fee unless we obtain monetary recovery for you or our client.